Audubon's life naturally divides itself into three periods: his youth, which was on the whole a gay and happy one, and which lasted till the time of his marriage at the age of twenty-eight; his business career which followed, lasting ten or more years, and consisting mainly in getting rid of the fortune his father had left him; and his career as an ornithologist which, though attended with great hardships and privations, brought him much happiness and, long before the end, substantial pecuniary rewards. 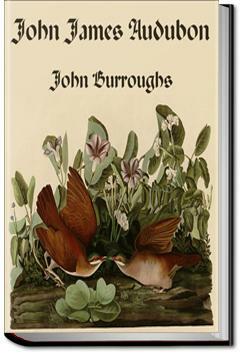 Enlightening book about the life of James Audubon. Painting and categorizing birds seemed to be his life's destiny. Amazing and interesting path. Well worth the read. Very telling about those of us who are called to follow a pursuit, regardless of the price. A super quick biography of one of America’s most renowned naturalist. Easy to follow and hits all the important bits of his life. And oh, what a life it was!